Design Goals: Our goal was to place a working satellite into geosynchronous orbit which is archived when the space craft is at an altitude of 2,863.33 km above Kerbin while the craft is flying at 1,009.81 m/s. Like the original space race, our country has a lot to loose but everything to gain, even if that means putting a small beeping bit of metal into space just to intimidate rival countries and agencies... I mean just look at what Sputnik did. To achieve this we needed a large amount of liquid thrust to reach the atmosphere, we wanted multiple stages to allow us to deploy the satellite, and the satellite needed the required equipment to charge and broadcast signals of the Glorious Rocketslovia to our side of the planet. Pilot Plan: We plan to launch vertical until 20km where we will begin angling west at 5 degrees and adjust as necessary. We will then reach 100 km, where we shall coast to our first apoapsis. We will then adjust our orbit to reach out to our desired radius from the earth (2,863 km). 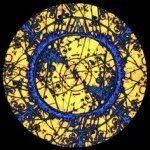 We will have a burn and then drift to said apoapsis, where we will then make the required adjustments to our speed and flight path to expand it into a more controlled orbit with a constant radius and speed. 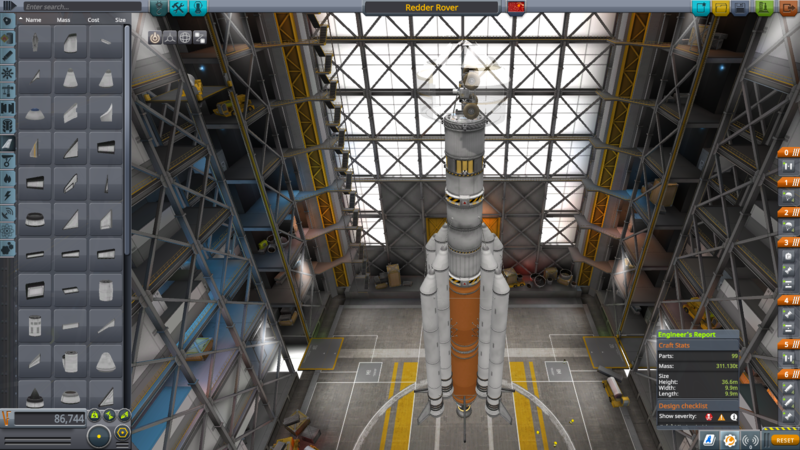 At this point we can decouple the satellite and we will have mission success. This is the plan at least. The good news is it is looking like a great day for a launch here on the launchpad, with our launch planned for 10:46 AM. 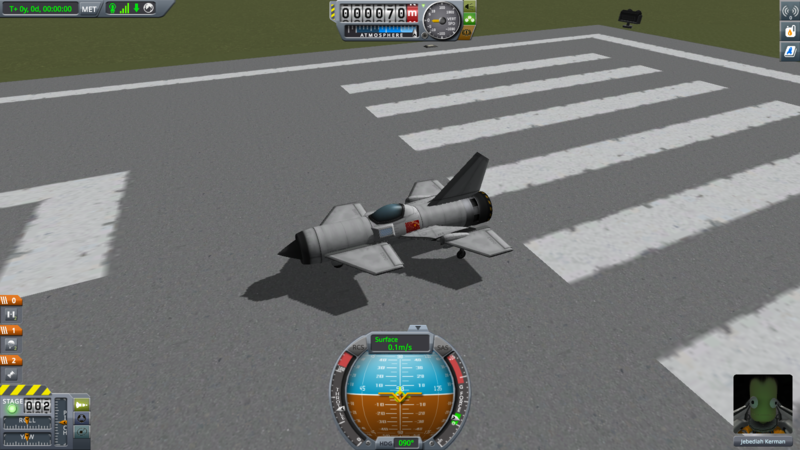 Summary: The launch and flight proved to be a large success for WUV our Work. We were able to successfully place a satellite into geosynchronous orbit. Even though we ran out of fuel part way through the flight, we were prepared and brought monopropellant to effectively finish our flight and reach our goal of a satellite in geosynchronous orbit. Opportunities / Learnings: We learned how to safely launch and put a satellite into a stable geosynchronous orbit. 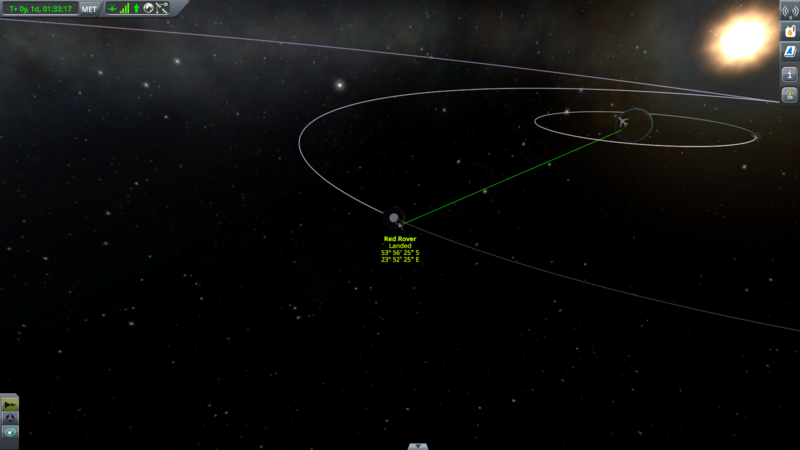 Strategies / Project Timeline: Next, we are ready to get a Kerbal into space and have it safely return. We are also looking forward to exploring the Mun, Minmus, and beyond to earn more milestones and awards! The following spreadsheet keeps track of of WUV Our Work's Funds, and it will be continually updated. Our goal is to either land on Minmus and come back. We need a lot of liquid fuel in order to make it back from Minmus. Our proud Rocketslovian Kerbal Fuelanov will walk around and plant our glorious country's flag and a spontaneously created quote. Summary: The launch and flight proved to be another large success for WUV our Work. 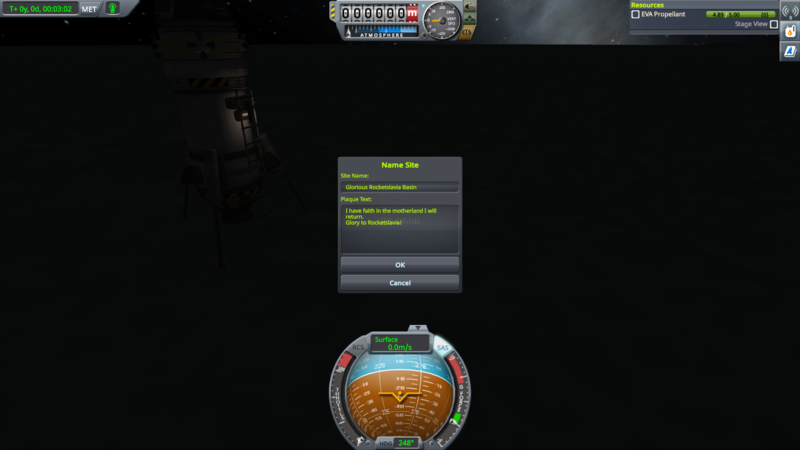 We were able to safely fly our Kerbal to Minmus and back with no outcome-altering mistakes. Although we ran out of both fuel and monopropellant by the end of the mission, we were still able to safely land back on Kerbin. 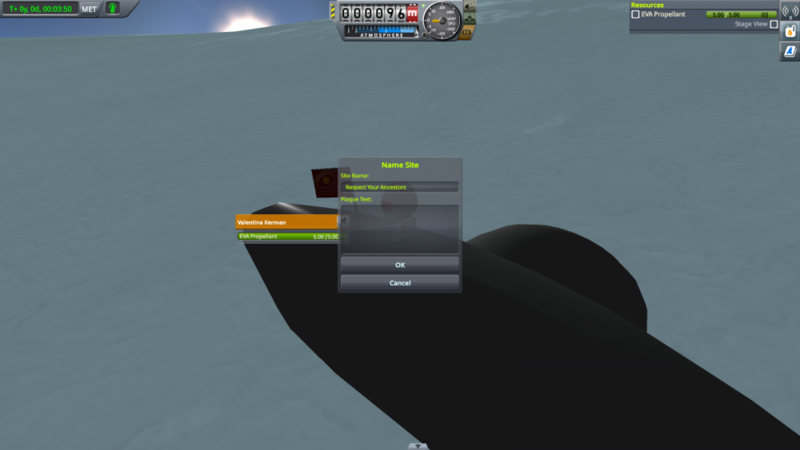 Opportunities / Learnings: We learned how to successfully orbit around both Kerbin and Minmus with a Kerbal on board, land and take off from Minmus, and make our way safely back to Kerbin. Strategies / Project Timeline: Next we plan to fly to the Northern Ice Cap and take a picture of the UFO and then hopefully place a rover on the Mun. Available Funds: $196,056 - $27,519 + $300,000 = $468,537! Nicely done team! That's quite the accomplishment! Thank you Fizziks Guy! It was a true team effort. Our goal is to put a rover on the mun. We need a lot of liquid fuel and need our design to effectively lay our payload down on the surface without damaging it. We also need a rover which can be controlled with wheels as well as with monopropellant if something bad happens. 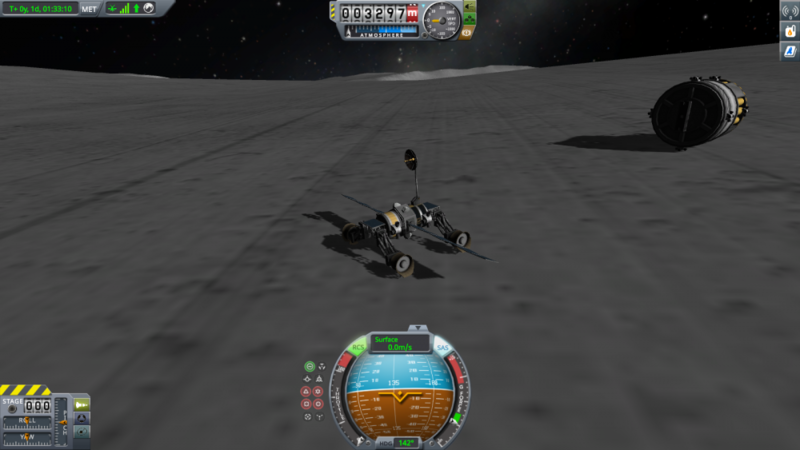 We are hoping to learn how to effectively put a rover on the Mun. Our proud Rocketslovian rover shall do doughnuts around the craters on the Mun... FOR SCIENCE!!!! Summary: The launch to the Mun with a rover proved to be mostly a success, except for the fact that the wheels popped somewhere along the way. 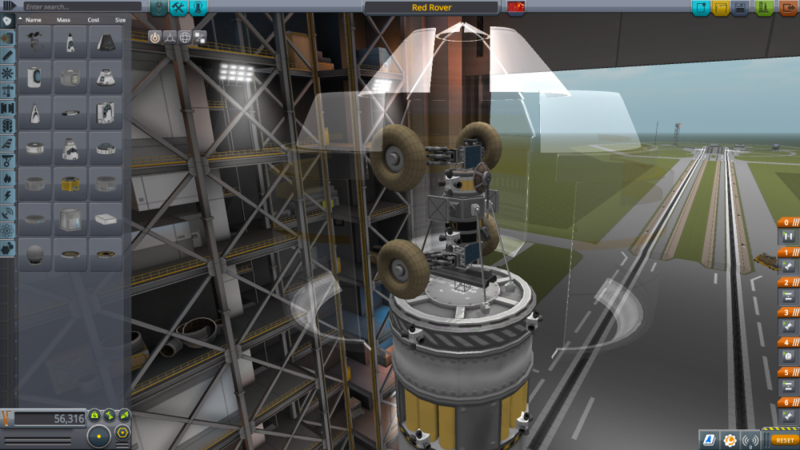 However, we were still able to control the rover on the Mun without the wheels because we had monopropellant. Opportunities / Learning: We learned how to build a rover and successfully land on the Mun. Strategies / Project Timeline: Next we plan to make a jet to fly to the Northern Ice Cap and take a picture with the UFO. Available Funds: $468,537 - $42,796 + $500,000 = $925,741! Design Goals: Our goal is to reach the UFO lodged in the northern ice caps. We need a lot of fuel and need efficiently use it within the atmosphere to reach the North Pole. We also need to figure out the coordinates on the map of the UFO or at least the general area. Launch Goal: We are hoping to learn how to effectively fly a jet and locate the UFO crashed in the ice. Summary: The launch and flight was another success for WUV our Work. We were able to successfully fly to the northern Ice Cap, find the UFO, and take a picture with it. Strategies / Project Timeline: Next we plan to continue our quest and missions in space to explore the universe. That is quite the find! Very cool... well done! Due to funding oversights by myself there have been a few budget miscalculations along the way. 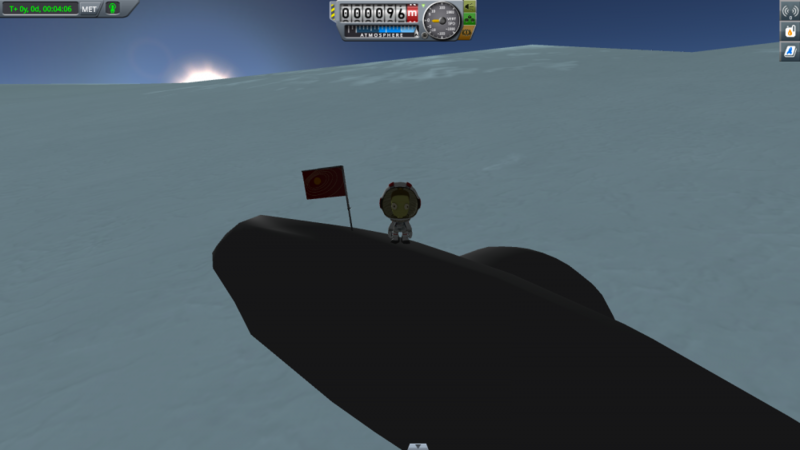 Edit 1: On our mission to Minmus we achieved the milestone of First Kerbal EVA when Fuelanov planted our country's glorious flag adding $30,000 to the budget. Edit 2: On our mission to the North Pole we recovered our jet giving us $7,075 back to the budget as those parts could be reused. All future posts will have these edits accounted for in the budget. For an up to date budget, follow the link here: https://westiron-my.sharepoint.com/:x:/g/personal/anwansha18_students_westiron_monroe_edu/EfWKC_ov9kVDo4giHAAUnHgBukrl6RQxDKN7JG0jJ4B_pQ?e=dp7pJn. Design Goals: Our goal is to land a rover on Duna. To do this we need to be able to dramatically slow down in a considerably thinner atmosphere. Launch Goal: We are hoping to learn how to effectively land and maneuver a rover on Duna’s surface. the rover has tires and we have full control over it! 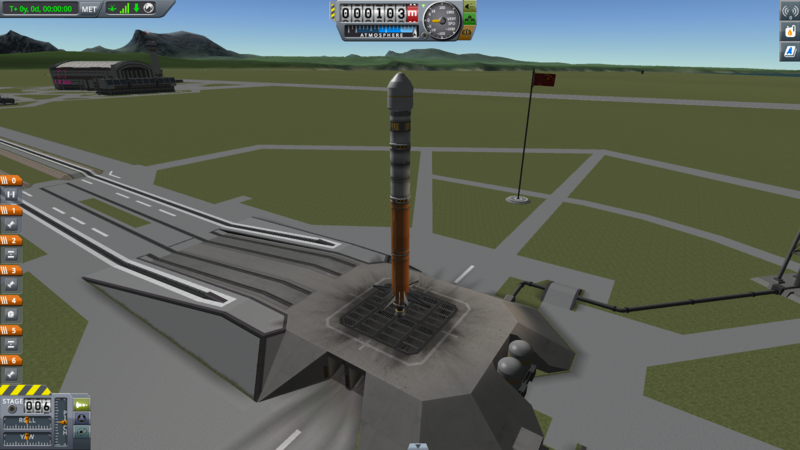 Summary: The launch and flight to put a rover on Duna was another successful mission for WUV Our Work and Kerbalkind. We successfully flew to and landed on Duna with a rover and were able to control it. Opportunities / Learnings: We learned how to get a rover on Duna and fly far from the reaches of Kerbin. Strategies / Project Timeline: This was WUV Our Work's final mission. We are very glad that it ended with such a large goal completed, and we are proud of all of our great successes. Available Funds: $1,048,666 - $77118 + $2,000,000 = $2,971,548!!! !